Is the time of the Bitcoin recovery here? 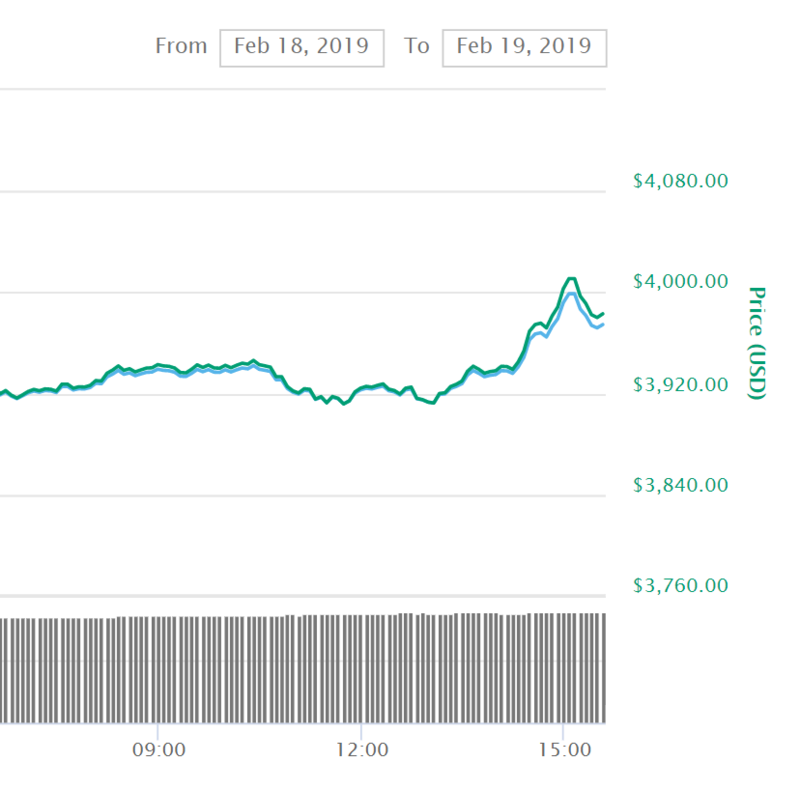 $BTC has broken the $4000 mark for the second time this year just now, and is trying to stay around these levels or push even higher, with the current price sitting at $3980. The surge is the result of a highly positive sentiment in the market the last few days. In a wave starting on Sunday February 2017, Bitcoin climbed from $3600 to its current levels around $4000. In this last push, Bitcoin was trading above $4000 for 15 minutes, before dropping back to $3980. BTC is now fighting to stay above $4K for a longer period (alright, let's just assume permanently), backed by good volume still. Read more: Where is Bitcoin and Ethereum going next? Is the next bull run in sight? While Bitcoin is climbing steadily, altcoins are on the run for days in a row already. Today, XRP and Stellar take the spotlights in the top 10, gaining 8% and 12%. Ethereum Classic (8%), TRON (5%) and NEO (5%) are also making gains in the last few hours. Yesterday, coins such as Ethereum and EOS were the best performers of the day, surging 20% and at some point even over 30%. Trading volume in the crypto market reached a 10 month high earlier today, with a daily volume of $34.7 billion. The trading volume of Ethereum is the highest since the first week of February, 2018. It's the second time this year Bitcoin breaks $4000. On Sunday January 6, BTC went from $3800 to $4060, only to drop back to $3670 a few days later. The total cryptocurrency market cap gained $15 billion in the last few days, and now sits at $135 billion. In an interview with Chepicap, Bitcoin bull Anthony Pompliano remained calm about the price of Bitcoin, stating that there is a '50 percent chance BTC will close the year below $5000'. Will this rally turn into a bull run?